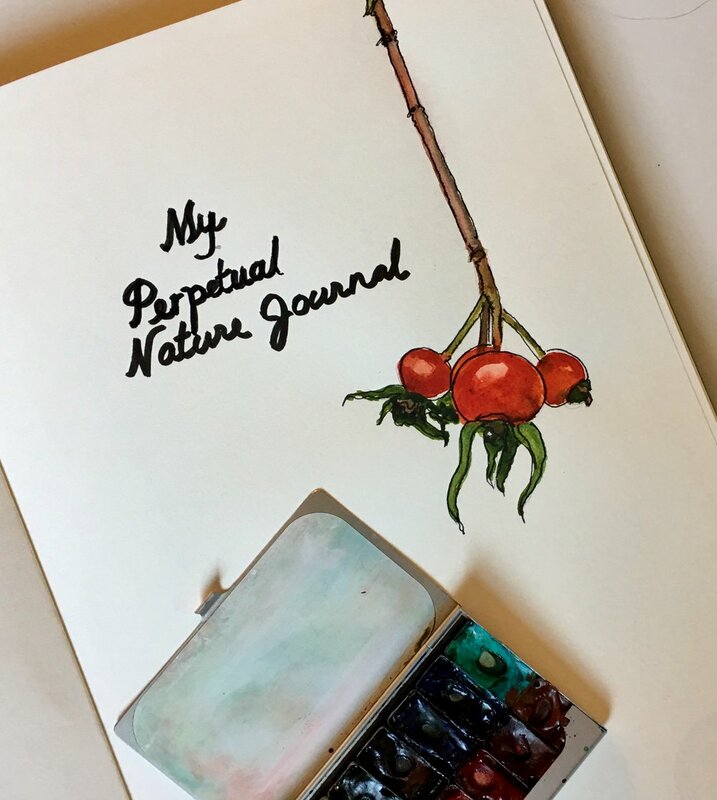 During the first week of January I started a perpetual nature journal. I learned about perpetual journals from @laragastinger on Instagram. The pages in her’s are breathtakingly beautiful. The idea is to divide the pages of a journal and date them. You can do a page or a spread for every week of the year. Don’t put year dates, Just the month and week. Once a week, I draw something I find in nature that week. Then go onto the next week. It is called a “perpetual journal” because it repeats every year (until the pages get filled up). If you miss weeks here and there, it doesn’t matter. Since the pages are dated by the week, you will return to that date and add another sketch or observation from the current year on that page. Thus, one page can have entries from multiple years on it. Some pages may end up being infrequently filled out and you may go in cycles of drawing/note taking frequently to not at all and that’s just fine. This set up allows you to come to your nature sketchbook when you are able to and to not worry about it when life is busy.It will always be there, waiting patiently for one you come back. The years go by quickly and you will find yourself back at that week’s page soon enough. As the years go by, each page can show you your sketches from that particular week through the years. How rich and delightful!. You will have a personal documentation of what the nature around YOU is doing all year long. When I first came across this idea, I felt quite inspired. The hardest step was figuring out how to divide up the sketchbook. I randomly gave some week’s one page and other week’s an entire spread so that the entire sketchbook covered all 52 weeks of the year. I dated it with a cool stamp I found on Amazon that only has the month and dates. Then every time I do a sketch, I can add the year to the sketch. It’s a lovely way to document the passing seasons and years and to document changing art styles and supply preferences as my art evolves. I’m in! Here is my cover page and the first two pages for the first two weeks of the year. Tag along with #lgperpetualjournal on Instagram and you will see people drawing all over the world. So many styles and skills - you can just write text, draw from specimens, or draw from your photographs. Thank you to @laragastinger on IG for introducing me to this awesome concept and for her inspiring art!